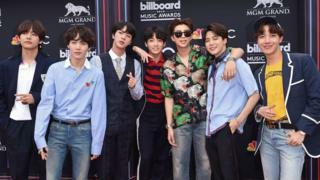 A picture of Jimin wearing a T-shirt depicting the US atomic bombing of Japan, which killed hundreds of thousands of people, started being shared online. The bombings led to Japan’s surrender and the end of World War Two in Asia- as well as the end of Japan’s colonial rule of the Korean peninsula which began in 1910. The cancellation comes as ties between Japan and Korea have become increasingly strained in recent years.